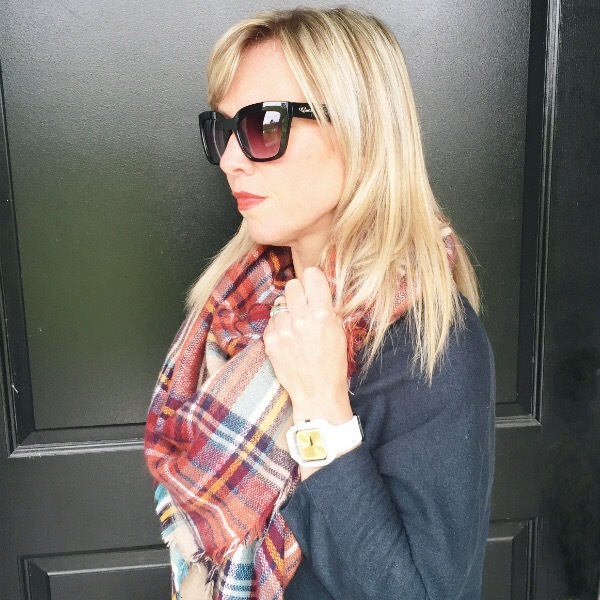 I’ve been living in blanket scarves lately….they seem to be the fall accessory. You can wear them so many different ways and they provide an extra layer of warmth on extra chilly fall days. Or, if you live in a warmer climate, you can wear a blanket scarf instead of a coat. Wear one in a print to add some pattern to your outfit (think plaid) or one in a rich, deep shade. And a neutral one is super versatile. And seriously….they are just so darn cosy! Poppie Blanket Scarf, Jackson Rowe at Kiss & Makeup $69.00 super soft!! Red & Navy Plaid Scarf, Old Navy $11.50 on sale!!! I came across this styling tip on Shopbop’s Instagram inspired by Acne Studios…secure your oversized scarf with an oversized safety pin or kilt pin to keep in place. Brilliant! For evening, a brooch would look very pretty. 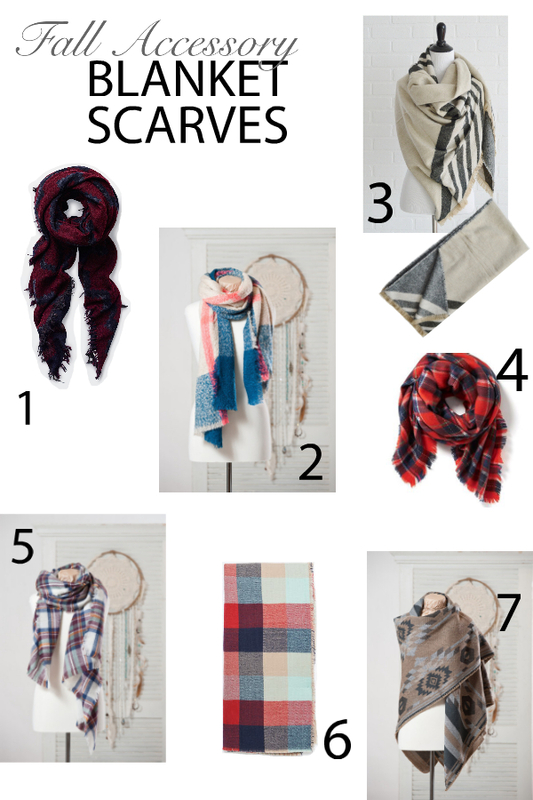 How do you like to wear your blanket scarf…I’d love to hear your ideas!